Draining serum thar reduces the cellulite with a combination of essential oils. The revolutionary CHARIS Skin Tone Serum anti-cellulite serum was born from the FARMALABO research. Its formulation has been specifically studied to prevent and contrast the beauty problems due to the cellulite, the localized adiposities and the water retention. The serum, that is fluider than a normal anti-cellulite cream, has got a soft and light texture and a delicate perfume and combines active ingredients with extraordinary osmotic and lipolytic properties and the purest essential oils, Mediterranean erbs and Egeo See salts. 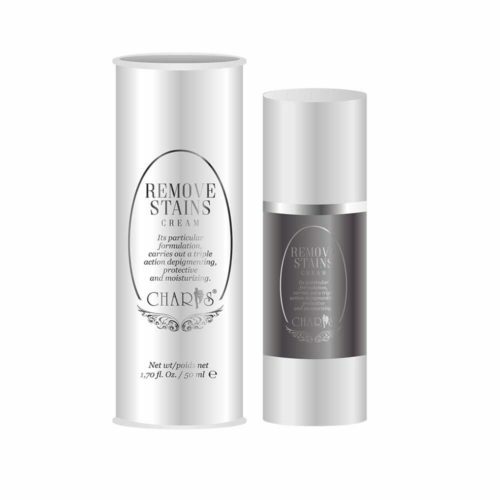 The active ingredients of the CHARIS formulation, conveniently selected and combined, guarantee a multiple slimming, reducing, draining and hardening action, facilitating the break and the mobilisation of the localized fat and the elimination of the excess of liquids. Certified clinical studies carried out by the best European laboratories have shown a significant reduction of the cellulite in the areas exposed to the treatments, accompanied by a great reduction of the thighs, knees, gluteus and hips circumference with a greater cutaneous compactness and elasticity and with a almost total disappearance of the visible irregularities of the surface. The secret of the extraordinary FARMALABO formula is the particolar processing of the vegetal molecules that, linked to the synergistic actions, push the osmotic, lipolytic and biorevitalizing active ingredients in the deepest layers. A smoothing result that a normal cosmetic can never reach. CHARIS Skin Tone Serum is proposed in an airless packaging that guarantees the hygene, avoids the product oxidation and preserve the active ingredients integrity. It is tested on women aged between 25 and 65. Its full effectiveness has been evalueted in laboratory by comparing the initial values with the results obtained after 10 weeks of treatment. The extraordinary improvement of the treated areas has been reported through images, measurings and visual changes of the cutaneous surface and it has been certified by many experts who have granted specific licences and patents by using analytical registers; in this way they have confirmed the highest standards of security and effectiveness of our products for our customers. Apply CHARIS Skin Tone Serum every day twice a day (morning and night) covering the whole surface. Massage by applying a little pressure until the product is completely absorbed, preferably after a bath and/or shower, on the dry and clean skin. Although the apparent results are visible after a few applications, we recommend a 10 weeks treatment for a surprising long lasting and more evident lifting and lipolytic effect. 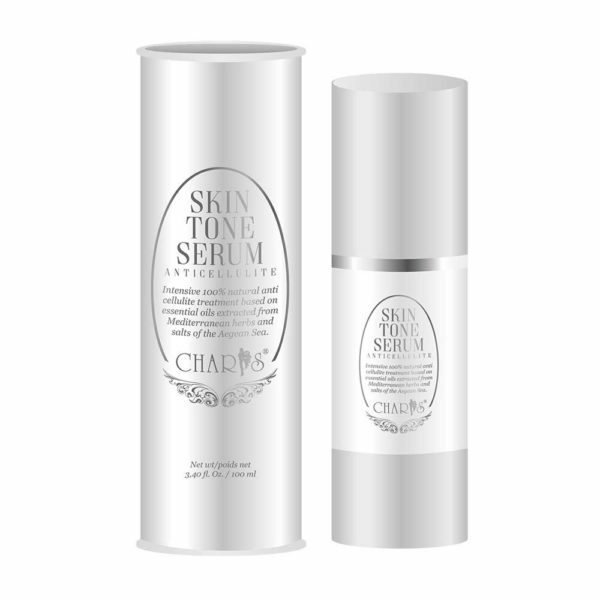 Apply CHARIS Skin Tone Serum to the surface twice, with an interval of 5 minutes and massage carefully. During the following 10 minutes a pleasant levelling effect will be realized. N.B. Massage starting from the bottom to the top by applying a light pressure to entail a re-activation of the blood and lymphatic circulation. Aqua (Water), Maltodextrin, Propanediol, Propylene glycol, Centella asiatica extract, Fucus vesiculosus extract, Aesculus hippocastanum (Horse chestnut) extract, Tocopherol, Helianthus annuus (Sunflower) seed oil, Hyaluronidase, Lipase, Glycerin, Ceteareth-20, Cetearyl alcohol, Glyceryl stearate, Sodium polyacrylate, Cetearyl isononanoate, TEA-hydroiodide, Ceteareth-12, Cetyl palmitate, Tetrasodium glutamate diacetate, Phenoxyethanol, Ethylhexylglycerin. 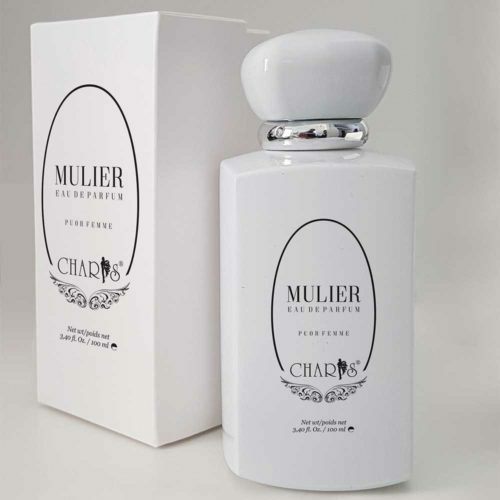 A refined and sensual perfume that embodies the expression of the noblest essences in a perfect armony of charm and seduction. It corrects the skin patches by contrasting their appearance. Gives uniformity to the skin tone and improves the elasticity. 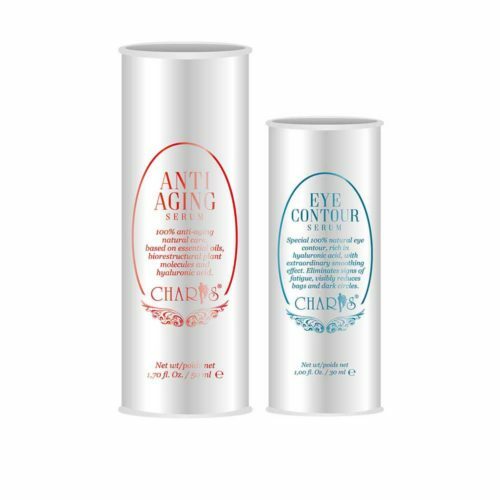 Anti age and eye serum with an immediate lifting effect against the skin and visage ageing.